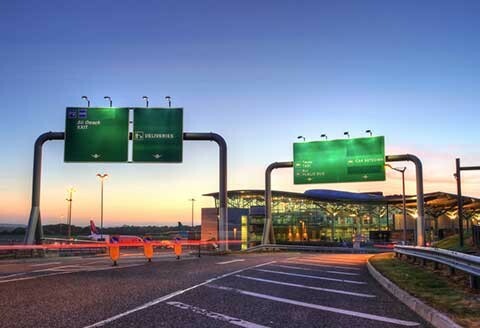 Cork International is one of Ireland’s big-three airports. It ranks between Dublin and Shannon in terms of throughput, ushering around 2.8 million passengers through every year. Boasting new infrastructure and plenty of on-site amenities, this is certainly one of the most sophisticated terminals in the country. 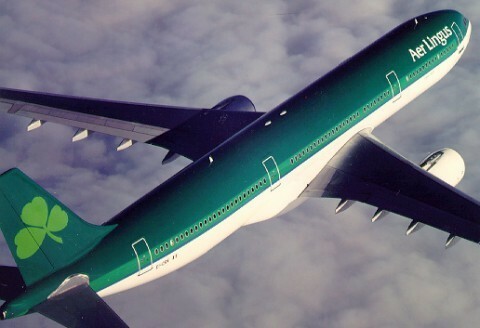 Cork Airport’s primary carriers are Aer Lingus and Ryanair, the combined offerings of which extend across Ireland, the UK and most of greater Europe. Several smaller airlines and charter services are also on hand. With so many routes on offer, passengers have no problem finding something to suit their tastes as well as their budgets. This is single-terminal facility was built in 2006 and is the newest air facility in Ireland. Ticketing and check-in desks are located on the lower level, opposite the Arrivals Hall. Passengers can make use of automated self check-in kiosks, free Wi-Fi Internet and a full complement of banking and exchange facilities. Arriving passengers will find car hire desks in the Arrivals Hall, with a taxi rank outside and a stream of buses ferrying passengers to destinations in the city. Coach services also run from the terminal to the cities of Limerick and Galway.